Automaker's SUV exports cut off due to tariffs. An early version of the 2019 X5 rolls down the BMW assembly line in Spartanburg, SC. The plant isn't shipping utes to China and that could cost the company big. 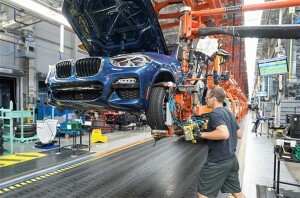 BMW expects its earnings to drop by almost $600 million next year if the trade war between the U.S. and China remains frozen in place, the German automaker’s CFO Nicolas Peter said during an interview with Automobilwoche, one of Germany’s leading automotive magazines. Tariffs between the United States and China have cut exports of sport-utility vehicles from its U.S. plant in Spartanburg, South Carolina, to China, resulting in a hit to earnings of just below 300 million euros, Peter said, according to an extract of an article. “If the tariffs remain in 2019, it could have a full-year impact of half a billion euros,” Peter added. If the tariffs remain in 2019, it could have a full-year impact of half a billion euros or $579 million,” Peter added during the interview with the German magazine. 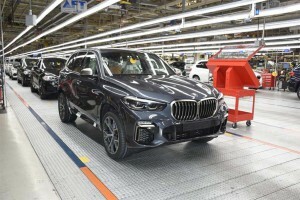 BMW's X3 is the company's top-selling vehicle in the United States this year, but the trade war between the U.S. and China will crimp global sales. In September, BMW cut its financial guidance, saying it now expected pre-tax profit to fall this year, blaming the trade war between China and the United States and a price war in the car market. So far, like other automakers, notably Mercedes-Benz, caught in the trade war between the U.S. and China, BMW has maintained a low-key response to the growing uncertainty. For example, job cuts appear to on hold despite the dwindling margins. Meanwhile, in China, BMW has said it plans to increase its stake in a joint venture with one of its major Chinese, partners, Brilliance China Automotive, with an investment of $4.2 billion. 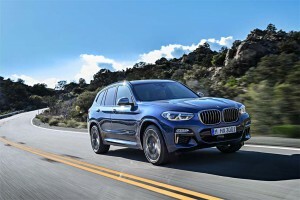 During the first three quarters of the year, the BMW Group grew its total sales by 1.3%, despite ongoing headwinds in several major sales regions. Sales in September, a month affected by intense competition in Europe, were down 0.8% as the company continued to follow its policy of prioritizing profitable growth. “In the face of a combination of exceptional challenges, we have achieved a steady sales result,” said Pieter Nota, member of the Board of Management of BMW AG responsible for Sales and Brand BMW. As of now, no job cuts are planned for BMW's Spartanburg, SC plant despite the drop in sales in China. “The third quarter in Europe was significantly affected by market distortions caused by the introduction of the new WLTP testing procedure at the beginning of September. As we planned well ahead for the WLTP changeover, virtually all our current models are WLTP type-approved and available for delivery,” Nota continued. “One very positive aspect of our sales performance continues to be the growth in electrified vehicles. September was our best-ever single month for electrified sales and with deliveries up over 40% in the year to date, we remain well on track to achieve our target of 140,000 electrified sales by the end of the year,” Nota concluded. September deliveries of BMW i, BMW iPerformance and MINI Electric vehicles totaled 14,559 units worldwide, an increase of 35.0% on the same month last year and the highest monthly total ever for BMW Group electrified. So far this year, BMW’s sales of electrified vehicles has increased by 42% to 97,543 units, once again confirming the BMW Group’s position as a leading global provider of premium electrified mobility. Since the launch of the pioneering BMW i3 in 2013, a total of more than 313,000 BMW Group electrified vehicles have now been delivered to customers. This entry was posted on Monday, October 15th, 2018 at and is filed under Automakers, Automobiles, BMW, Business, China, Executives, Luxury Vehicles, Markets, Personalities, Politicians, SUVs, Trade, U.S./North America. You can follow any responses to this entry through the RSS 2.0 feed. Both comments and pings are currently closed.